It's always an honor to be invited to Al Ghurair Rayhaan's every event. 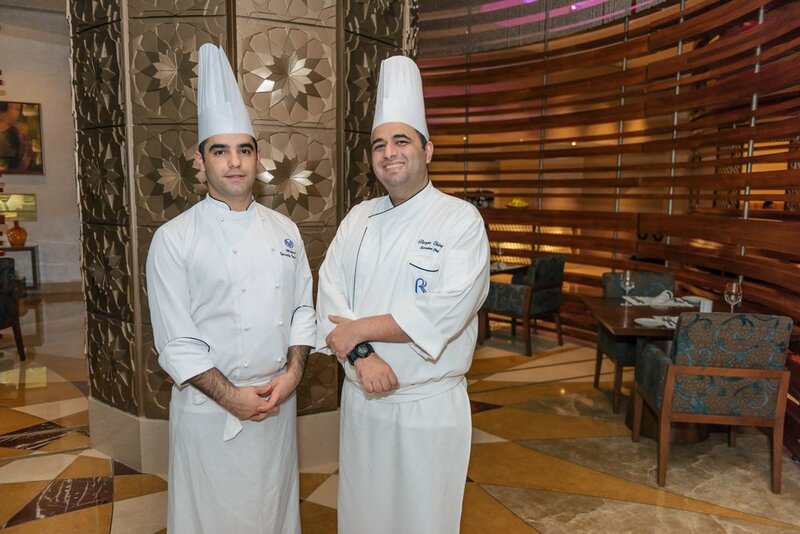 A couple of weeks ago, we dined-in at Shayan Restaurant to try the newly launched famous "Meter Kebabs" - a selection of mouthwatering Lebanese & Iranian grills. We sat with overflowing Arabic starters; Borani Esfenaj & Kashk-e-Bademjan to name my favorites. And now talking about the star of the night, Kebabs are my favorite Arabic food of all and I must say, nobody did it better. Even the presentation was promising (Who wouldn't want to eat such beauty?). The extra garnish made it extra special for sure! We couldn't stop eating as much as we couldn't stop taking photos the food. Do you need evidence? Read on. And I'm pretty sure you already know what happened after this. Yes, desserts. I'm the type who takes every single dessert and taste everything. There was a huge variety served in a buffet-style and knowing me, I went straight to the mousse section. Goodbye, diet. About Shayan Restaurant: Shayan is unique as it unites the traditions of the two most ancient and prominent culinary cultures of the Middle East, Lebanon, and Iran. Fusing authentic kitchen techniques and flavors with contemporary design and modern presentation, Shayan provides a culinary experience to our valued guests like no other. Dinner sponsored by Al Ghurair Rayhaan by Rotana / Press Release provided but all opinions are solely my own.